We learn a number of things watching Laura Dunn’s documentary “The Unforeseen” – urban sprawl has affected the water eco-system of Austin, Texas, and that actor/longtime environmentalist Robert Redford, one of the film’s executive producers (along with Terrence Malick), puts his money where his mouth is. 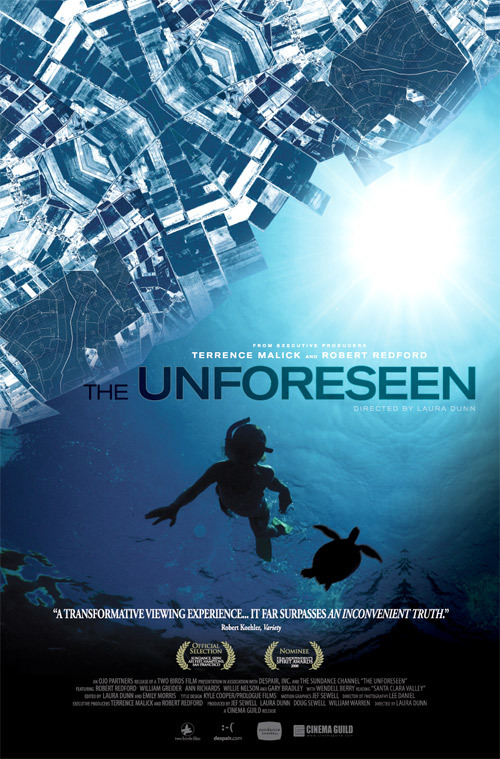 “The Unforeseen” does have some big names on and off camera, and the production values are gorgeous – think back to the cinematography of films such as Badlands, Days of Heaven, and A River Runs Through It – but while there is a dramatic payoff towards the end, the film’s structure at times works against itself. 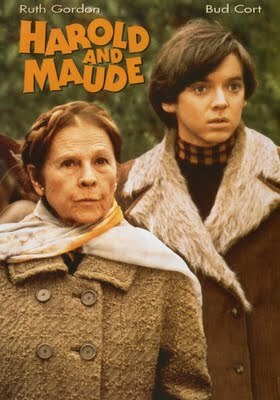 What could be better than watching “Harold and Maude” on the big screen? How about a funny and touching introduction by Jonathan Demme who reflected on his long term friendship with the film’s late director, Hal Ashby. At one point, taking an informal survey from the crowd, Demme asked who in the audience had never seen “Harold and Maude” before (a significant number) and who had never seen a Hal Ashby movie before (a relatively small number). Demme flashed a typically warm smile and warned the audience that they were in for quite a treat. Thanks to the Film Society of Lincoln Center’s Young Friends of Film series, we got the opportunity to see the 1971 cult classic starring Bud Cort, Ruth Gordon, Cyril Cusack, Vivian Pickles, and Tom Skerritt in a small but unforgettable role. Also intrinsic to the movie’s greatness, the amazing Cat Stevens soundtrack. By the way, Paste Magazine recently published the rumor that the soundtrack will be finally available for the first time; hard to believe but apparently true. Look for it soon.